While in OT school I had four short fieldworks in my first year. One was at Brooke Army Medical Center (BAMC) in San Antonio and was incredible (I also spent six months at the VAs in Washington, which was also an amazing experience, but there was no kayaking). This article talks about BAMC and the center for the intrepid. Some of the veterans with amputations choose to try kayaking and if their arms have been amputated they can get paddle prosthetics (I wish I had a picture!) so they can use the strength of their shoulders (just like you or I) to propel themselves through the water. Just to clarify they would also get prosthetics more functional for their daily life, including high tech electric hands. 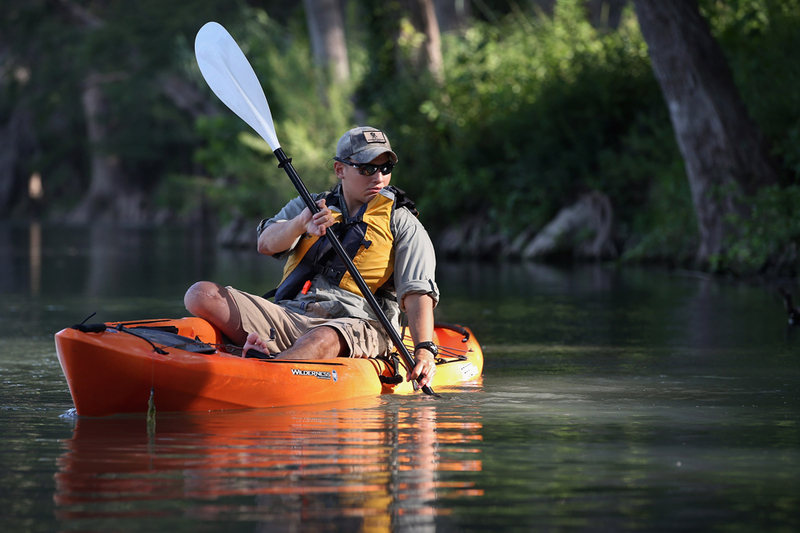 This picture was taken from the article and shows a wounded veteran with a leg amputation still enjoying kayaking. And thank you veterans, past and current, wounded or not, for your service.